The most common complication (7% of cases) of laparoscopic marsupialization of lymphocele is injury to adjacent structures, especially transection of the transplanted ureter (22). Bowel is less commonly injured, but both complications may be avoided by careful and complete visualization of the lymphocele. As noted earlier, a needle or catheter placed into the lymphocele may assist in localizing the cavity. Meticulous dissection with identification of the transplanted ureter helps to avoid injury. Stent placement into the transplanted ureter is technically demanding and is not routinely performed. If intraoperatively the lymphocele is found to be infected, conversion to an open procedure is required. Peritonitis may result from opening an infected lymphocele with subsequent seeding of the peritoneal cavity. Careful patient selection will prevent attempting to open an infected lymphocele laparoscopically. Peritonitis may also occur secondary to an undetected bowel injury. Careful inspection of the peritoneal cavity prior to removing the trocars is required to detect and repair any injured bowel. 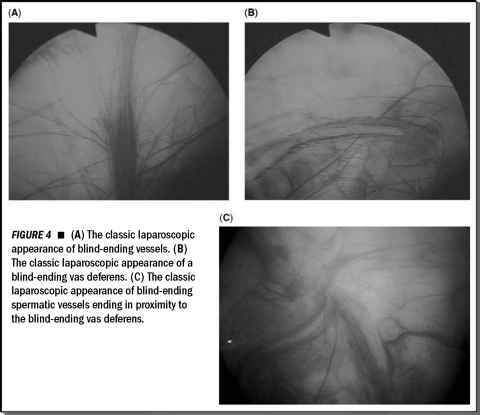 Finally, a rare complication of laparoscopic lymphocele fenestration is herniation of bowel through the peritoneal window with entrapment in the lymphocele cavity. This can cause a recurrent lymphocele or bowel injury. Attachment of a pedicle flap of omentum to the lymphocele cavity helps maintain the patency of the peritoneal window, as well as preventing migration of bowel into the lymphocele cavity.